Portugal is the home of many world class golf resorts and academies, because of its scenic views and relaxing atmosphere. Algarve is where Laranjal, which was voted as the Best Course in Portuguese 2011 Travel Awards. This Golf Course which opened in February 2009, is part of the 3 courses offered by Quinta do Lago. It was designed by Jorge Santana da Silva. 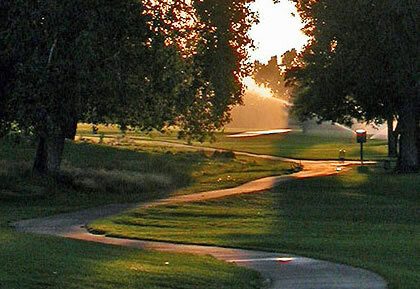 It is a par 72 course consisting of 5 par 5s, 8 par 4s and 5 par 3s. It features orange trees, umbrella pines and 5 lakes which makes the course attractive to the vacationers. It is formerly an orange grove with its rolling terrains designed to give golfers high class golfing venture. The course is also designed to enhance the players’ expertise and skills of the game with its many challenging courses for them to surpass. With Bermuda grass sown on the field for excellent putting surfaces, golfers are assured of an unforgettable golfing experience. The par 3 11th hole is something exceptional where golfers will encounter what they call “the beach bunker.” Also the “spectator’s mount” between the 8th and 9th hole consists of the many interesting obstacles of the course aside from the lakes that dotted the field. Laranjal is a 6.482 golf course in which the 3307 meters of it covers the front nine holes, where you can catch a glimpse of what awaits you on the course. The many obstacles of Laranjal Golf Course requires intense concentration and practiced accuracy especially with its narrow fairways and distinct greens for a unique golfing experience. Unlike other golf courses in Algarve, Laranja Golf Course only has a clubhouse as its building which provides comfort for the golfers. The 5 lakes of Laranjal Golf Course does not only serve as an obstacle in the course but it plays a fundamental part in its refined drainage and modern irrigation system which consists of two pumping stations and a recycling water system. So when we speak of Laranjal, the first thing that will come into our minds are the scenic terrains, its splendid lakes and the many orange trees. Its simplicity but with the same high standards as the other courses makes Laranjal stand out from among the various courses in Algarve, Portugal. Playing in the Laranjal course will make golfing experience a spectacular one and more enjoyable.